iPhone “next” rumors tend to be wild and crazy right up until Apple’s annual Worldwide Developer Conference in June. Thereafter things settle into familiar and predictable patterns. That said, it’s April and the iPhone 6s, nay, iPhone 7 is the talk of the town and, boy oh boy, it’s gonna be freaking awesome! But wait, isn’t Apple expected to ship the iPhone 6s and iPhone 6s Plus this year? Yes, that’s probably what the Cupertino company will ship come September. However, inside and Asian supply chain sources are saying this year’s Apple smartphone update will be so awesome that the mothership will skip straight to the iPhone 7 appellation. For example, Apple has been a long-time leader in advancing material science in the technology space (ie unibody Aluminum ultrabook, nay, MacBook Air) and the iPhone 7 is expected to a new metal alloy (Liquid Metal?) 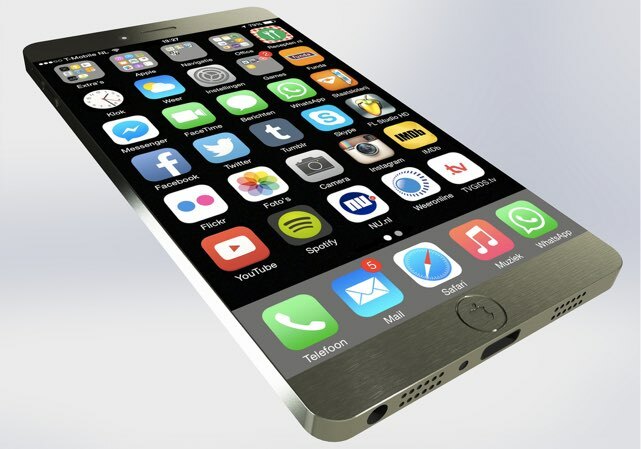 that will be 60 stronger than the iPhone 6. It’s rumored/hoped this year’s Apple smartphone revision will also feature a sapphire protected display. Apple’s failed sapphire factory in Arizona is being repurposed as a data center, though it’s rumored that Foxconn is attempting to produce industrial scale sapphire in China — that, however, might yet fail. It is perhaps more likely that the iPhone 7 display will again use Gorilla Glass with Zirconium harding. • Camera technology has long been the Apple’s forte. Apple watcher John Gruber, who has impeccable connections, rumored last Fall that this year’s iPhone update would deliver “the biggest camera jump ever.” Possible advances include a dual-lens camera system and advances in camera software, both of which are backed up by Apple patents and acquisitions. • iPhone 7 will run on the A9 processor, which will be made by both Samsung and Taiwan Semiconductor Manufacturing Corporation. Here again, Apple is an industry leader in the mobile (system on) chip space as its A series chip offer full support for 64-bit and best in class graphics performance. • iPhone 7 will be the first Apple smartphone to implement 2GB RAM, which will force Apple to use an even larger battery. • iPhone 7 will run iOS 9.